If you do not know the enormity of your madness, do meet me and I might put some sense in your head, Ram Jethmalani wrote. 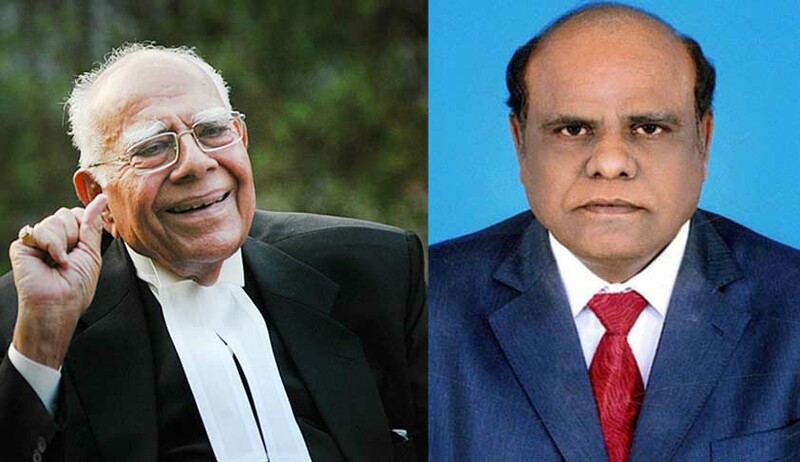 "You have lost your mind," nonagenarian senior lawyer Ram Jethmalani has told Justice CS Karnan in a 'brief', but scathing open letter. A copy of the letter addressed to the controversial judge has been uploaded on his website. Jethmalani said he has great concern and sympathy for the backward classes and added that the Justice Karnan is causing great damage to their interest. Advising Justice Karnan to pray for pardon for "stupid actions", Jethmalani said:"In this corruption dominated country, our judiciary is the only protection. Do not destroy it or even weaken it." The Supreme Court on Friday had issued a bailable warrant against Justice Karnan for his failure to appear before the bench in a suo-motu contempt proceeding against him for openly accusing judges of corruption. Justice Karnan hit back with an order directing the Central Bureau of Investigation to investigate and file a report against the seven-judge bench and Attorney General Mukul Rohatgi.